The Kidz Play 16ftx9ft inflatable outdoor movie screen package including sound, projector and staff to operate. 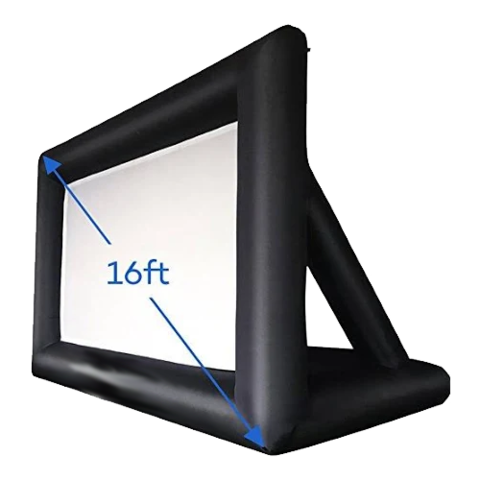 We offer inflatable movie screen rentals to events small and large! Our inflatable movie screen rental customers use our services for drive-in movies, HOA cookouts and school fundraisers! Add a popcorn machine for the full movie experience.